Our Virginia realtors and agents list some of the most beautiful properties in the state; We have our eyes on the pulse of the entire Virginia real estate market, including Charlottesville, Richmond, and the Shenandoah Valley. As a Virginia realtor and broker, acting as buyers’ agents allows us to represent the personal interests of the purchaser in all aspects of the contractual process, assuring you that we find you the best available property at the best possible price. In addition, we offer a wide range of properties and homes for sale from all across the state of Virginia. Call us to find out how we can help you find peace of mind in Virginia whether it be in a family home, a country cottage or an elegant manor estate. Through personal contacts, relationships, research, and experience, our licensed, professional real estate agents specialize in being aware of the availability of homes, farm, land and country properties that are publicly and privately offered statewide. Virginia Estates claims trademark rights based on legitimate use of the mark. Virginia Estates trademarks virginiaestates.com, VirginiaEstates.com and the Virginia Estates Logo. 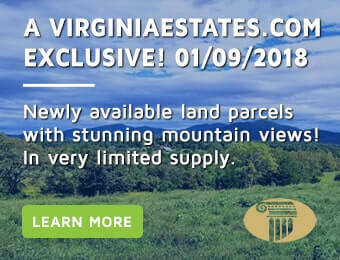 Virginia Estates is the Virginia realtor, agents and brokers with property listings for sale in and around the entire Old Dominion and Commonwealth of Virginia. We are also licensed to sell Real Estate in Maryland, North Carloina, and Georgia.